Did you know that women with disabilities form the largest minority group in the world? Indeed, according to a 2010 World Health Organization report, this group is more than half a billion strong. 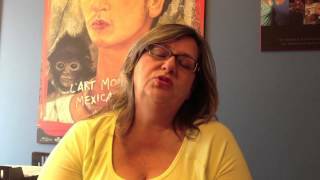 Bonnie Brayton is well aware of those numbers and has been waging a campaign for inclusion rights for Canadian women with disabilities. 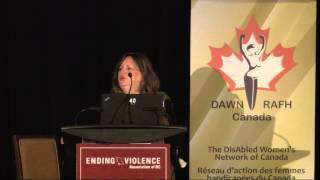 Ms. Brayton, a strong leader in both the feminist and disability movements, has been the National Executive Director of DAWN Canada (DisAbled Women’s Network of Canada) since 2007 when the organization established a national head office in Montreal. This national, cross-disability feminist organization has focused on advancing the rights of women with disabilities and Deaf women in Canada and Internationally for the past 30 years. 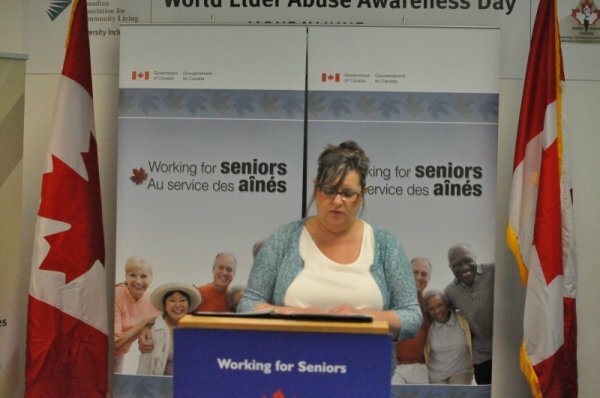 During her tenure with DAWN Canada, Ms. Brayton has worked diligently to highlight key issues that impact the lives of women with disabilities in regards to health equity, housing, employment and violence. For example, she has strongly promoted the representation of women with disabilities in policy changes from the employment sector to the justice sector, and is at the forefront of addressing systemic barriers at all levels. Ms. Brayton’s commitment to women with disabilities spreads further than her office. 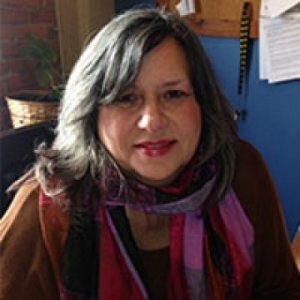 She is also the President of Coup de Balai – Clean Sweepers, an innovative social enterprise which provide home care services to people with disabilities and seniors in her Montreal community while creating employment, income and job security for women who were previously unemployed (primarily, immigrant and racialized women). Bonnie Brayton credits her leadership success to being passionate about and inspired by her cause and the women who benefit from her tireless work. As she says, being able to push for what you know is right is fun (most days!) Learn from Ms. Brayton’s wisdom and experience at the conference as she talks about making inclusion a standard practice, overcoming roadblocks, listening to advice and, when it comes right down to it, going with your gut. In September 2014, Ms Brayton was selected as one of 23 women leaders in Canada to describe their vision for the country's future. Selected from more than 200 nominees, 23 aspiring and established leaders contributed to an anthology, participated in a Women’s Leadership Conference and collaborated on a shared vision for Canada’s future. 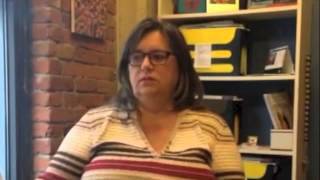 On Wednesday February 12th, Bonnie Brayton, National Executive Director of DAWN-RAFH Canada, spoke to CKUT about the criminalization of women with disabilities and the lack of systemic support that exists for women like Ashley Smith and Nichele Benn. Canadian heroines: Who should appear on the country’s bills? 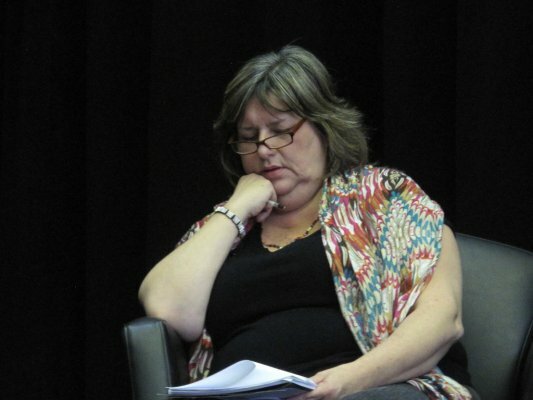 A lesser known Canadian hero, Maria Barile – an advocate for disabled women who recently died, would be a welcome addition to the country’s bills according to Bonnie Brayton, the national executive director of DisAbled Women’s Network Canada. Despite the challenges that remain, Brayton is encouraged by the shift in Canadian social policy, which she believes is slowly becoming more inclusive of disabled and deaf women. She cites the D.A.I. decision as a “huge success,” and adds that DAWN Canada is now called upon regularly to present to Parliament. The organization is also asked to provide expert witnesses in a variety of sectors, such as health equity and antiviolence. Canadian Living blog features DAWN-RAFH’s OUR HEALTH MATTERS, a project about access to health care for people with disabilities.